JESSICA: This week: everything you wanted to know about the Nastia Liukin Cup, Marta commentating, and the American Cup. ALLISON TAYLER: Hey, gymnasts. Elite Sportz Band is a cutting edge compression back warmer that can protect your most valued asset, your back. I’m Allison Tayler on behalf of Elite Sportz Band. Visit elitesportzband.com. We’ve got your back. JESSICA: This is episode 80 from March 5th, 2014. I’m Jessica, from Masters Gymnastics. LAUREN: And I’m Lauren, from thecouchgymnast.com. JESSICA: And this is the best gymnastics podcast of all time, bringing you all the news from around the gymternet! The first thing I want to start with, something very exciting. We haven’t had a contest in quite a while, but now we are bringing our contest back, and—I’m so excited about this, because this is something everyone does, so all we want you to do is take a picture of it. Or a video! The contest is your gymitations. We want to see your imitation, your gymitations. All you have to do to enter is to post yourself, or someone you know, doing an imitation of your favorite gymnast. It can be dance, it can be a pose, it can be a face, it can be actual gymnastics skills. Tag it with #gymitation and tag Gymcastic in it. It can be on Twitter, on Facebook, on Instagram, and you’ll be entered into the contest. We’re doing this all through March, and the prizes are: a USA Gymnastics official polo shirt from Under Armor—they’re very nice, I have to say. These are like the kind that are like the sweat-wicking fancy material. They’re very nice. They are size medium, so you can go to USA Gymnastics’ site, their store, and check out what the sizes are. Three of those we have to give away. And then—Lauren, did you know there’s a chalk shortage in the US, especially in the East Coast right now? LAUREN: Like, for all kinds of chalk or gymnastics chalk? LAUREN: Oh wow, I did not know that. JESSICA: Yeah. I didn’t really know either, but I guess someone—one of our listeners will explain this, I’m sure, but it has something to do I think with, like, how there’s—like, there’s been so many storms, that there’s a salt shortage too, from, like salting the roads and all this stuff. Somehow, that has to do with chalk. That’s my understanding with it, but if I’m like totally wrong, I’m sure one our listeners will let me know. JESSICA: So we also have real, honest to God chalk from the P&G Championships from 2013, which means that, I don’t know, McKayla Maroney and Simone Biles probably actually touched this chalk. And if you are—no, I have no idea. It’s still in the box, but [LAUREN LAUGHS]. If you’re at a gym with a chalk [LAUGHING] shortage, we are going to help you out. You can win chalk that was actually, almost, possibly used at the P&G Championships. So, all you have to do is tag us with gymitation, and tag us Gymcastic on one of your social media sites, and let us see you doing your favorite gymnastics imitation. Tell us who you’re imitating, too! So, [LAUGHING] we’ll judge the best ones. I can’t wait to see these. Okay. So, first things first, let’s talk about Nastia Cup, one of my favorite meets, because I love how she does this whole event. And Lauren, you were there, so tell us, tell me just about the whole thing. I mean, she turned the whole place pink, right? What were your impressions of the meet as a whole? LAUREN: Oh, I actually love the Nastia Cup. I went to the very first one, and I’ve been to every single one since, so like, I have this very like, special, admiration for the Nastia Cup. I love that Nastia does it, I love that they get to do a level 10 meet basically on a podium, I love that they get to do it in a huge arena. I think this was like the most, the biggest, like, attendance record or something that the Nastia Cup has had? LAUREN: The first year there weren’t that many, there were like, parents and things like that. I love that it’s come so far in the last few years. And this was also like…no one made a big deal of this, but it was the fifth annual Nastia Cup, so I thought that was cool as well. This year was different because they split the juniors and seniors, which I’m guessing was because, aside from Lexie Priessman winning the first year, it’s always been like a 17-year-old-ish won, 17-18, someone who’s like, pretty much on her way to college. LAUREN: Which, you know, you have 17-18-year-olds competing with like, 11-year-olds. JESSICA: Which is the best! I love it! JESSICA: Don’t you love, though, I mean after all that’s happened to Nastia and how unfair all these, like—why can’t we have ties in the Olympics—that she, at her own meet, was like, “No, we’re having ties. There will be no tiebreakers.” Don’t you love that though? LAUREN: Yes, and that’s, that’s the best thing! And even after they broke the ties, she was like, “Uhh, what?” And then she unbroke them, pretty much. JESSICA: That’s beautiful. I love that. JESSICA: Ties are awesome. I just love that. And I love that there was confusion, and Nastia was like, “No! It’s my meet, we will not do this!” [LAUGHING] It made me so happy! LAUREN: Yeah. Yeah. I liked it a lot, and they were all, like, super-excited in the media afterwards, even though all of them were like, “How much longer do we have to sit here and do media?” because they were all so excited that they won. [JESSICA LAUGHS] And they were all so happy for one another, and you could tell how close knit—I mean, there were a few Texas girls as well. I think four of them were Texas girls? So you could tell how close-knit that, like, level 10 community is. JESSICA: [LAUGHING] Oh my God. So, how, what were some of the routines, or some of the athletes that really stood out to you? Who were your favorites? LAUREN: My favorite? My absolute favorite was this tiny little princess named Morgan Hurd, who I’m completely obsessed with. JESSICA: She was so cute! LAUREN: And this is actually hilarious, because I was tweeting about her all night long, and was, like, almost creepy in reading the tweets back. And then yesterday I was looking through our replies and she favorited every single creepy tweet that I wrote about her. JESSICA: Honestly, the low bar looks like she could stand under it with her arms fully extended and not touch it. LAUREN: [LAUGHS] Yes. Yes! She’s just the tiniest person. And it’s like, my favorite thing in the world. And she’s also really good. LAUREN: She’s from Delaware, she’s a first year level 10, a 2001 baby. I’m pretty sure elite is on her mind. But I love that she’s from Delaware, because what gymnast is from Delaware? LAUREN: Yeah, so she…I’m just really excited about her because she has a lot of really good basics and she’ll like…warm ups, if you view her bar routine, like, she’s flying all over the place, but then in competition she looked great, she pulled it together and she really showed that she has, like, the mindset to do these big competitions, even though, like I said, this is her first year doing level 10. So I’m really excited about her, even if she didn’t show a ton of super big skills. I think she just has a lot going for her. LAUREN: And she’s blonde, so obviously there’s a lot of, like, Nastia comparisons, but, like, yeah. Her extension was really pretty. And another elite, kind of, I guess hopeful, is Bailey Ferrer. She also had a full twisting double layout off bars and four floor passes, which is different from most had three. So I’m pretty sure…I think she got injured last summer, so I’m pretty sure she’s trying elite again this summer. But yeah, I think those are my favorites in terms of, like, people I was just totally shocked by. Because, like, Mac Brannon, like, she was amazing. She was, from start to finish, everything was polished and clean. But you kind of knew that going in, that she’d be amazing, and this is her third year doing it, and third time’s a charm, Alex McMurty proved that last year. So I kind of like figured that Bannon would be on the mark this year, but those four, I think, that I mentioned, or five, four or five, were just really outstanding and surprising. JESSICA: I think, so just to give everybody the, the full picture here, so the senior co-champions are MacKenzie Bannon of, she goes to Capitol, in Austin, Texas, not the capital in DC, and then McKenna Kelley, who is Mary Lou Retton, who was 1984 all around champion, Bela’s first star in the US. She also is the co-champion, and she looked awesome. I loved watching her. LAUREN: Yeah, I think these are my favorite Nastia leos since the first year when they were just, like, really simple. LAUREN: But this year, they were, they weren’t simple but they were awesome. They were designed really well, I thought. JESSICA: For those of you at home who experienced this live, it was the most amazing, most groundbreaking, first time ever in the history of gymnastics and television: Marta Karoyli did commentary with Tim Daggett, and Nastia, and John Roethlisberger. I was losing my mind. I don’t know how they convinced her to do this, if they didn’t tell her it was, like, how many people were watching, and what that it was. It was awesome. It was also like, honestly, I think her like six minutes doing commentary did more to boost the reputation and image of USA Gymnastics than anything they’ve done in the last twenty years. Like, she was endearing, she was kind, she was sweet, she was positive, she had really positive comments on everybody that she talked about. You know, it was a little hard to understand her, you can see, you know, I think when you’re a perfectionist like that it’s hard to not have total command of the language and feel confident talking on, on television, but she honestly was so cute, and she had really interesting things to say. And she was so cute, with one of the girls she’s like, “She’s my little project!” [LAUREN LAUGHS] I loved listening to her. It was really, really amazing. I hope they do that with her again. It was totally adorable. I loved it. Did—do you have any insight into how this happened? Did you see what went on in the background over there? JESSICA: Yeah, it was really, really great. I totally loved it. And then they have Valeri come on. Of course Valeri is hilarious too, because Valeri says like three sentences, and they’re like “So,” Tim’s like, “So, you if notice anything when you watch these, say something,” and dead silence. “So what did you…”, uh uh, dead silence. You know, he’s like, only will he respond to his daughter, and he’s totally like, “I am not going to give away any of my ancient Soviet secrets.” Like, [LAUGHING] he was locked up, like, a vault. [LAUGHS] It was hilarious! Like, he was not going to say anything. Oh my God, he was sitting there with this, like, look on his face, like he was coaching, I just, like, oh my God, it was all just so gym nerd fantasy. And then, oh! And Mary Lou Retton came on, and totally [LAUGH], it was so funny. LAUREN: All I heard was that she screamed, like every single time her daughter, like, did a flip. JESSICA: …about their child’s health and welfare and safety watching them do gymnastics. [LAUGHS] I loved it. [LAUGHS] I loved it. And she was horribly embarrassed. LAUREN: Yeah, that was the thing I want to go back and listen to, because I feel like… and her daughter was up, she was there for the press stuff, and she was so, just expressive and excited and like, probably one of the better interviewers, interviewees in gymnastics. And I feel like a lot of that reminded me of her mom, especially from what I’ve heard about people in terms of how her mom responded to the whole Nastia Liukin Cup kind of thing. So they seem like they’re like, the same person, like, just in terms of their personality and body type and everything. So I loved that. JESSICA: Like, do you mean, like, that her mom was really excited that she qualified? LAUREN: [LAUGHS] Therefore. So you’d think they’d be like, “Oh yeah, of course you qualified. We’re royalty, you know, it was just going to happen.” But they have, like, this reaction you’d expect from any level ten who just qualified to the biggest competition probably of her, if not life than season. So I feel like that’s how, like… People are probably surprised, too, that people who have this history in the sport are still really kind of down-to-earth about it. When there are other people who don’t have that history who are just, like, “Oh, the Olympic trials, ho hum. I made it again.” [JESSICA LAUGHS]. So…but I feel like I kind of love that about them, that they’re, like, genuinely just cool people. JESSICA: Ah, that’s so good to hear. That definitely came across. So the night after. So the tradition is the Nastia Cup is on Friday, and then on Saturday is the American Cup. And the American Cup has now become an official FIG World Cup event, which means that you have to be in the top ten in the world to qualify or be selected to go to one of these meets. And it’s part of the World Cup series. What’s complicated about the World Cup series, which, I don’t know why, there must be some reason they do this, like sponsorships or whatever, because there’s a great purse at the end of this if you win it. I mean, it’s a great way to make a living as a professional gymnast. You… the, the, the World Cup series spans two years. So it doesn’t start in 2014, it starts in 2013 and ends in 2014, so this is one of the part of the series, it will end in Tokyo later this year. So it’s great to see that, you know, I hope that because it’s an official FIG event now some of the SCAM stuff goes down. I think that the scoring was very fair and I think that you could see the difference. JESSICA: Like you were only allowed to have one coach on the, on the competition floor. So like, when Brenna Dowell was out there competing, you know, Armine was nowhere to be seen, because only one coach was allowed out there. So, you know, the cameras followed her back, and Brenna had to, you know, run into back behind the black curtains to go find her coach. So, you know, what did you think, knowing that it’s, it’s FIG event now. How, how did you see the difference? LAUREN: I mean, even though, I think in 2011, I think that was the year Mustafina came along. That year was the messy, like, Jordyn won with a fall kind of year, or dead hang, whatever happened on bars. So even though it had become a World Cup there were still issues that caused people to call it SCAM. And then in 2012 like Aly…well, Aly I thought rightfully beat Iordache, but some people still complained about that, so anyway. Now I feel like, I just feel like this year it was a more even field. The trend has been for the top gymnasts internationally from worlds will turn it down either because they’re saving themselves for later in the season or for whatever reason, so you end up the absolute two best Americans, and then amazing athletes from other countries, but not necessarily either those who were in the top eight or those who were maybe like just sort of outside of it. And so this year, because both Kyla and Simone, who are world gold and silver medalists couldn’t be there, you have Ebee and Brenna, who are in their own right amazing but not the best in the world, or at least in terms of, like, having won world medals. So I feel like, because there was that, like, there wasn’t as much of a divide between the international athletes and the American athletes going in, I thought that already set it up to be a little bit more fair. But then I thought that compared to previous years the judging was also a lot more sane. JESSICA: Mm hmm, I agree. LAUREN: And I was like, so shocked. JESSICA: Anything away from her victory where she won by like, three points. And I was like, “Oh, don’t worry. That’s not going to happen.” [LAUGHS] You totally earned it. LAUREN: But yeah, I felt like she was obviously the rightful victor in this situation. There were a couple of people who said Brenna was maybe gifted a bit, because she came out on top of Steingruber, but Brenna’s beam, she got the lowest E-score almost, apart from like, Ferlito, who fell. So it’s like… And Brenna did not fall. So I felt like, there was no, there was no real, like, I don’t know, [INAUDIBLE] going on. JESSICA: “And here’s what counts as a layout.” And then it’s like, 5,000 Chinese gymnasts throughout history all doing beam. [LAUGHS] And it’s like, “Here you go.” But you know, Steingruber really, she does not have great execution scores you know. JESSICA: She, her best execution score was on vault where she got a 9, but you know, she got a 7.9 on bars, and I was like, “Ohh, that’s kind of high.” [LAUREN LAUGHS] You know, her beam was an 8.3, but really like, she’s one of those ones where you’re just like, “And this is why we like NCAA gymnastics.” [LAUGHS] Because in NCAA that would have gotten a 5. [LAUGHS] And she would not be in the lineup. But she, her beam, like, I love it. She took third on beam, which I think was totally correct. LAUREN: Yeah. Well, I think and on vault too, like, because of her execution I was having a coughing fit, so I looked over and I saw her pike and then coming down facing the vault. So I was like, did she do a podkopayeva? Like, ‘cause she was piked. And it was like, “I guess?” and so I wrote that’s what she did and everyone was like, “No, she did a rudi.” I was like, “Is she doing a piked rudi?” And then everyone was like, “No, it’s a laid out rudi.” And I went back and watched videos and she’s just so piked in her layout where, so that I’m like, you can’t even tell what vault she’s doing if you don’t see the whole thing because the execution just isn’t, I guess, where it should be, maybe? And I love her, but I feel like, yeah, I feel like most of her execution was pretty accurate. JESSICA: Okay. What is going on with the Japanese and Ukrainian, Russian debatable, mullets? This is no good. LAUREN: Mm. Yeah, I didn’t really notice them that much. The only one whose hair I noticed was Sam Oldham. JESSICA: His hair was so cute! But I totally had that exact same haircut in, like, fifth grade, just so you know. [LAUREN LAUGHS] But it looks really cute on him. JESSICA: Nguyen totally has that hair too. Mm hmm. LAUREN: Yeah, so that’s all I could think of. And I was like, “Oh.” And everyone else, I don’t know, I didn’t notice their hair for whatever reason. Yeah, I didn’t even notice the mullets. JESSICA: Ugh. Thank God, that you couldn’t see it. [LAUREN LAUGHS] Because on TV you could totally see it. It’s like a mullet, but it’s a short mullet, and Shogo had it and the Russian guy who’s now…This is terrible. I need to really remember his name. JESSICA: I feel like a horrible, horrible person, let me say that again. His name is Andrey. I’m just going to call him…oh, it’s, and it’s Belarus, not Ukraine. Oh my God. LAUREN: Was he the one, he’s the one with the “L” last name? LAUREN: Yeah, I couldn’t pronounce his name at all. JESSICA: Likhovitskiy. And so Andrey, who is competing for Belarus, and not Ukraine, please forgive me all Ukrainians. You have enough to deal with with Russia invading your country right now without me telling people that people are competing from you and they’re not. Even though they’re all going to freaking Azerbaijan right now. I’m so sorry. So Andrey is competing, he’s Russian, but he’s competing for Belarus, and he has a baby mullet. There we go. So, yeah, his is pretty strong and I don’t approve of it at all. I mean, this is no good. We can’t have this. Some ‘80s things can come back, but not the mullet. And then can we talk about Sophie Sheder, who I loooove her bars. She’s 5 foot 3, which makes her look like she’s six feet tall, she has beautiful bars, it reminds me of Khorkina. Like, her skills aren’t the same, obviously, but her look is the same, just really long and lean. And, but, ugh, Germany! What is with that freaking collar on a leo? No. [LAUREN LAUGHS] No. And then Nastia, I love, you know, Nastia is, I defer to her in all things fashion. But she was totally rocking a shoulder cut out shirt, just like Ferrari. [LAUGHS] Did you notice that too? LAUREN: Yeah… I was more focused on her skirt, which was intense. LAUREN: Even miles away in the arena. LAUREN: Yeah. It was really cute to, because like, when they were warming up the Italians and the Americans were in the same rotation, and Ebee was in…no, Ebbe was in magenta and Brenna was in red, and then I think Vanessa Ferrari was in red and Carlito was in magenta. It was like Valentine’s Day just parading around wherever they were, like,location wise. The Italians were in like their little short sleeved leos for practice, and then they changed for competition. So it looked really pretty, everyone was [LAUGHING] matching and that’s all we care about in gymnastics. JESSICA: Oh my God, Christy Linder is doing a photo essay for us. “Behind the Scenes at the American Cup.” So if you guys have seen her, I know you’ve seen her photos. Like, her photos are amazing. She, like, combines being an artist with being, having been a gymnast with photojournalism. And she really captures the moments between people and really gets gymnastics in kind of views that I’ve never seen before, which is really hard. I like to call her “Baby Lansley,” from the famous photographer Emily Lansley, that’s what I call her, “Baby Lansley,” because she’s just amazing, and I think she’s going to be the next official photographer of everything someday because I just think she’s the most incredible talent to come into sports, gymnastics photography in literally like 30 years. So she is doing a photo essay for us. It will be up on Wednesday with this show, so you can look at it and bask in its glory while you listen to us discuss the show and enjoy that. And so she has pictures of Sophie Scheder wearing her like, outfit that she warms up in which was like knee-high leg warmers; a leotard; shorts; a back warmer, like Elite Sportz Band but more like leg warmer material, like wool; and then some kind of like glove she had or something. I mean, she looked like a dancer from Bolshoi in the ‘80s. I was like, “Who is that?” [LAUGHS] “What’s happening over there?” It was fantastic, it was completely different, I totally loved watching that. So enjoy the full Behind the Scenes, coming soon. [LAUGHING] could just watch him all day. JESSICA: So then he goes to p-bars, and he like, clipped his shoulder while he was doing his dismount and, like, lost grip on his leg. That was so scary. Was there a collective gasp when that happened? LAUREN: So I, like, I missed a lot of moments for the men, especially. Because for the women I was live blogging, so I made sure to be watching. But the men, I missed like, a lot of moments I would just hear the audience, like, respond, and I’d be like, “What just happened?” So that was one where I noticed the audience was like, “[gasp]” and I was just like, “What?” I later saw that he tweeted, like, “Oh, almost broke my neck today on p-bars.” [JESSICA LAUGHS] So I figured that was what was happening. JESSICA: So, that’s the solution, I’ve totally come up with it. This will solve all of his problems. [LAUREN LAUGHS] So someone let him know. LAUREN: I think it’s a good plan. JESSICA: Okay, good. So let’s talk about Moors. Ah, I could just watch her all day. JESSICA: She did her…on floor she ended up actually, so this is the thing, after watching her floor I was like, “Oh, she won! That’s it! Of course, she won!” But in fact, you know, because I love her floor. She dances. And oh, just to let you guys know, I was totally thinking that the new FIG floor rules already went into effect, but they didn’t. They don’t go until May. So I was like all, you know, “Uh, Carlotta Ferlito has already broken the rules.” And everyone’s all, “Uh, it doesn’t go in effect until May, Jessica.” And I was like, “Oh, that’s right! Oops.” Sorry, okay. LAUREN: …between the stating it and the enacting or whatever. JESSICA: Yes. Which totally makes sense. JESSICA: And is so very well thought out. And of course very courteous to the gymnasts and their training plans. And I was totally ahead of myself. [LAUGHING] So, so Moors did her layout double-double, which I think gets better every single meet. But you were saying she landed out of bounds? LAUREN: Yeah, I think she…well, I saw her land out of bounds, but my angle was really weird and someone said she landed one foot, she landed on one foot in bounds, and then bounced out, and then put both feet down. So yeah, so I think…but I saw her form in the air, because I was one of the biggest critics of her form, I feel like, in the past. And I was like, shocked that she’s gotten it this far. So yeah, even with the deduction for going out, I feel like it was one of her best that I’ve seen. I thought it was the best, actually. JESSICA: Yeah, I think it was the best that I’d seen. And then when she was on beam she ended up doing her full in dismount. [squeal] So excited! JESSICA: I mean, I know she’s not, like, the first ever to do the full in, but we almost never see it very often any more, you know? JESSICA: Totally excited to see people go for hard dismounts. And then, she…so, the way it worked out on floor Ferrari took first on floor, she got a 14.633. Her difficulty was a 6.0 and then her execution was an 8.6. And then Price took second with a 14.5. Price and Victoria Moors both had the same difficulty level, they both had 6.1. Moors had a 14.266, so she would have, even if she stayed in bounds she would have been below Price with her execution. And I think that was all her landings, don’t you think? LAUREN: Yeah, her landings, every single pass she had either one or multiple steps. So I feel like, they just weren’t very controlled. But I didn’t notice. Well, I noticed it on blogging, but after she finished the routine I was like, “That was a great routine.” And then I reread what I wrote, and I was like, “Oh yeah, she took steps on every single pass.” She covered everything up so well. JESSICA: I know! And how dare those judges not be swept up in her dance? [LAUREN LAUGHS] I demand they take those deductions away because I didn’t notice them, I was in the moment. I was like, “Oh, we’re transported to like, ancient Russia.” I don’t know why I’m on this whole “ancient Russia” thing. [LAUGHING] Ancient Russia was a horrible, horrible place and time to be anything. JESSICA: No one…with like the wars. No one would ever want to be in ancient Europe, ancient Russia. It was so bad. So let me just [LAUGHING] pick another time. Uhhh, the Great…I can’t even, I don’t know. You’re going to have to fill me in on this. LAUREN: [LAUGHING] There were no other times. JESSICA: The eastern European angst in her routine. Speaking of which, I really…Uncle Tim was saying how Elvira Saadi and other coaches should have like, a dance off. Like, she’s on the sidelines, and she is totally looking at everyone else’s floor routines. For those who don’t know, Elvira Saadi is the…she was a two-time Soviet gold medalist with her team at the Olympics. So she won with the Soviet team at the ’72 Olympics and then again at the ’76 Olympics. So she’s basically super bad assed. And she looks like it. I mean, she was like…when the men were competing at first, she was like sitting on the sidelines, shooting the shits with her friends. I was like, “Oh my God, I’ve never seen her smile before. Like, what is happening?” And then the competition started and she was like, “Uh! We will kill everyone with the beauty! We will dominate them with our incredible dance!” [LAUREN LAUGHS] I was just watching her watch the other floor routines while people were out there, and she was just like, “Oh my God. Just put me in a leotard right now and I just will smoke these fools.” [LAUREN LAUGHS] Like, “This is just not up to our standards.” And you can see. Just, Victoria Moors is in a category all her own when she performs. Like, no one can touch her. She’s…I mean, no one’s even close. She’s just…yeah. Totally different category. So, sometime maybe we can convince Elvira Saadi…maybe she can do the gymitiations! Could we get her… [BOTH LAUGHING] to do gymitations? LAUREN: She can imitate every American floor routine in London. JESSICA: She’ll just stand like a robot. LAUREN: It would be comedy. JESSICA: [LAUGHING] Oh my God. So I did kind of, I have to say though, I kind of liked like Price’s routine. For…I mean, it’s not, it’s not my style, it’s not my thing, but you know, it’s pretty good. JESSICA: I didn’t hate it, basically. [LAUGHING] ‘Cause I kind of hate, like, all the American routines. And that one I was like, “Oh! You know, hey.” I could get into it a little bit, bop my head. That’s extremely high praise from me for an American routine. That’s like, yeah. So she’s having a good time, you know, she gets the crowd into it. So. LAUREN: Price on floor, she’s one who I remember her tumbling, but I never remember her music. And like, even right now I’m trying to think of it, and I can’t even tell you what style choreography, what style music she has because I feel like I only care about her tumbling. But that’s one of the ones where I’d have to like look that one up and watch it on YouTube to be like, “Oh that’s like what her dance looks like.” Which, it’s not that it’s bad, it’s just not really memorable to me kind of thing. JESSICA: Yeah. I think for the Americans it stands out. Like, if it makes you want to bop your head, then it’s, whoosh, solid, for Americans. [LAUREN LAUGHS] It’s like, in the top echelon. So while we’re talking about Ebee and how she won by about 3-ish points, and how much she’s come back from, what surprised you the most about her victory and her performance here? LAUREN: I think her beam especially, because beam is not her best event, and I haven’t really seen her compete beam really since the World Cups in 2012. I didn’t see a lot of her performances from the 2013 World Cups. So I know she did it, she did compete beam and she clearly did well enough on it to medal at both. But I wasn’t expecting her to go out there at American Cup and have what I think was her best beam routine ever. And just in general, I feel like the last time I saw her, again, at Nationals, doing her double twisting yurchenko. So to see her doing so well, like with hitting the amanar and then her bars were clean…I mean, everything she did I was like, “Wow, she’s really clean, she’s really impressive, she’s still has, like, I mean, I think she’s exceeding her 2012 peak.” Before her hip injury. And then, yeah, I was totally surprised at what we saw her do. So yeah, it was, it was awesome. JESSICA: I love that she told Tim Daggett, when he interviewed her, that she wanted everyone to know that even though she’d been injured and she’d had these…she’d had so much to overcome to get back to where she was, that she was happy the whole time. I was like, “Damn.” This is why I totally tweeted, “Ebee for president!” And I mean, like, Ebee has…like she might not be…I mean, if I was putting together, like, my favorite gymnastics Frankenstein doll from all my favorite gymnasts, there are parts of her that I would put in there, but the biggest thing that I would take from her is that she has an integrity and a perspective that’s so much larger than just her gymnastics. That is very rare in elites. And by that I mean she’s aware of how her performance relates to how people perceive the American Cup, with her comments about how she’s won these, and she’s glad to win one at home. She wants people to understand who she is, not just that she’s a gymnast, but why she chooses to do the sport. You know, she wants, she has an idea of how she wants people to see her and is in control of that. And that’s, I think, so uncommon for a teenage elite. They’re people…they put it out there, and they’re just like, “I just want, I went out here, four for four…” You know, the stuff that we can’t stand hearing. So her comments were very uncommon, and you know, I don’t know that she’s going to go to Stanford, but wherever she chooses to go, they’re going to be very lucky to have someone like her. I think she’s going to do great things. JESSICA: Wherever she ends up, whatever she ends up doing. LAUREN: Yeah, I agree. I think she was saying after the competition that she’s not sure. She’s very smart, also, because she was saying that she’s not sure if she’s going to defer Stanford just yet, because there are however many months until Worlds next year. So it’s like, she’s not like, “Yeah, I won this competition, and I’m going to Worlds, I’m deferring college, blah blah blah.” She’s actually waiting. And she’s taking it one step at a time. And I think that’s very smart, because I think a lot of people who could come in and win this competition be like, “Okay, time to go prowl; I’m the next Olympic champion!” You know, like that kind of attitude. LAUREN: They take a big step early, and then they take it way too far. And another thing is that she is actually…the World Cup series, they have a leader which leads by points, which you were kind of explaining earlier. LAUREN: And she’s leading. Everyone else has kind of like 80 points, 85 points. She has like, 120 points. And she can’t take any of that prize money. JESSICA: I thought you could take the prize money now. If it’s prize from completion, I thought that didn’t count against you. Or is this different because it’s like, a professional circuit? LAUREN: I think it’s a professional circuit kind of thing. JESSICA: Mm hmm. It wouldn’t be equal to a private school, college education anyway. LAUREN: Yeah, it’s probably like, 800,000. So yeah, that would be great if she could go to all these, and like, I want her to go to Tokyo and win that one too. And be like, “Yeah, I won pretty much every one of the World Cup series.” I think, yeah. That would be amazing. JESSICA: I just love, too, that she’s actually being sent to these! Because it’s one of the things we’re always complaining about, we have all these amazing gymnasts and they’re never being sent anywhere to compete. And the World Cup circuit is just a great opportunity for gymnasts like, to make a living too! I mean for her, she’s going to not do that because she wants to keep her eligibility. But for so many of these adult athletes…I think if Mohini had stuck around for that, or Annia Hatch had stuck around for that. JESSICA: Oh, Ebee. [LAUGHS] So some of things if you guys were watching at home, if you missed it at home, were great comments from the commentators during the American Cup. [LAUGHING] Oh. My. God. So Sam Mikulak killed it. He would not have won though, if it wasn’t for Shogo made a mistake on his last event. It was, he was just like, he didn’t get his dowel over the bar on one of his releases, so he just pinged off and ohhh, it was so sad. Because he would have won it and it would have been great because… On the other…It’s just another exciting Japanese gymnast to watch. He has that beautiful Japanese form, like he did his double pike dismount off of p-bars, and he does it perfectly. And then he dropped into a stick. Dropped on p-bars. You know, you normally on p-bars, people come in at like, 1,000 miles an hour, they like skid into the mat [LAUGHING]. Because it’s freaking p-bars and you’re just lucky to live if you land on your feet. And he’s like, “Double pike and drop.” It was beautiful. So, but, you know, he had this mess up on high bar much like Sam Mikulak had at Worlds. It was a beautiful juxtaposition for Sam to then come out on top with this, you know, repeat of kind of what had happened to him but now happened to someone else at this meet. So he looks fantastic, he looked incredible. He’s a great representative for men’s gymnastics because he just looks so happy and he’s just a little goof off. But, so, Tim Daggett, oh my God. I’m sure he didn’t mean it this way, because I don’t, I don’t, I don’t think…he’s just not a cruel guy. But he said, he’s talking about Sam Mikulak and how he’s really taking it in and enjoying the experience, and he’s like “You won’t see this guy with a towel over his head!” [BOTH LAUGHING] It was like, “Ohhhhhh my God! I can’t believe he just said that!” I was like, “Ohhh, okay, I see how you feel about that whole thing.” Like, yeah, we now understand your feelings. The other thing that happened was that Al Trautwig said halfway through the meet, or it was like the last event, it was like, I don’t even remember who he was talking about because it doesn’t even matter, but he said, “Oh, she’s only doing it for pride at this point! She has no chance of winning.” And we’re like, “Really? She’s only doing it for pride?” Because honestly, like, if you’re not going to win, what are you going to do? You throw your leotard off and like, stomp out of the arena? [LAUREN LAUGHING] Like, God, this isn’t like, you know, Lucho Libre. We don’t do that here. We enjoy the performance. It’s gymnastics, Al! Like, God. Oh my God. LAUREN: Who was he even saying that about? No one was going to win it except Ebee. JESSICA: No one was going to touch Ebee! [LAUREN LAUGHING] By like the second event, I was like, “Oh yeah, she’s going to win by three points.” And that’s how it happened. Like, I don’t even know. It just doesn’t even matter, it was like, the stupidest comment ever. And then, the other thing that happened, I don’t know if you guys caught this, it was very, very bizarre. I’m going to play it for you guys, and see if you guys can hear it. It’s really bizarre. It’s in the very back of this. You’ll hear the regular commentators. Like, Al Trautwig stops talking, and then you hear this comment in the background. AL TRAUTWIG: Last year’s champion, Katelyn Ohashi, not here. She’s been hurt. BACKGROUND COMMENT: She doesn’t look very Japanese. LAUREN: [LAUGHS] I remember someone tweeted that to Katelyn. And she retweeted it with like, smiley face emoji. JESSICA: I was just like, “Who is it?” ‘Cause I was like, “Is that a cameraman, who doesn’t know what’s going on?” Is it someone who happened to be sitting there? Is it an inside joke amongst the commentators, because someone said that once and they thought it was super ignorant, so they use it as a joke now, because they can’t stand when people say stuff like that? But I was just like, so, in the future NBC, maybe make sure, you know, you have people, [LAUGHING] the inside jokes are, like, ignorant comments, like, keep those people away from the microphones? LAUREN: To me, it’s like, “Whoa! Like, that actually looks good to me!” And so when everyone else was falling, though, so we saw this newspaper article… It was just like, “The pummel horse.” And we were really [LAUGHS]. LAUREN: And then someone commented and was like, I think I tweeted that, and someone was like, “Pummel is slang in Dutch for ‘dirty old farmer.’” [JESSICA LAUGHS] Yeah. JESSICA: …from us for that. Like, that was super exciting. And can we just talk now about the crazy… Okay, first of all, the American Cup was trending before it was on, even on TV. That, that this happened is so amazing and that is all because of you, gymternet, for tweeting about this. And that’s so important to getting gymnastics on TV and getting it more coverage, because this is what the sponsors care about. So other, next giant high five to all, everyone who tweeted about the American Cup, because you made that happen, and I have a message for you, Steve Penny. You should be buying Scott Bregman and the whole marketing team at USA Gymnastics a truckload of hookers and blow. Because they deserve it! [BOTH LAUGHING] If you can get an event to trend when it’s just streaming online, I demand hookers and blow! For the whole team! Okay, speaking of shenanigans. Let’s discuss the Macready shenanigans that went on and the other behind the scenes things that happened when you were there. LAUREN: Oh yeah. Okay, so Macready always has his little games for the crowd. And they terrify me, because they’re weird and like… I commented a few days ago that they should be like…there’s like a Nickelodeon games and sports TV channel where they used to air all these really cool game shows on Nickelodeon back in the ‘90s. Like, GUTS, and other, like Wild and Crazy Kids. I feel like, Macready could have his own Nickelodeon game and sport gymnastics TV show. LAUREN: Just from all these weird games he plays with kids and their parents at these meets. JESSICA: That is a great idea. And then he can get slimed at the end. LAUREN: Yeah, of course. They have to. This year was especially weird and crazy because A) he came up with some many different games that were actually good, like there was one where the kids, four girls. And he made a circle out of t-shirts, and the girls had to do round off back tucks and land in the center of the t-shirts. Which was awesome. Like, they were doing it on floor in between rotations, and I was watching that. I wasn’t even watching like, warm ups, or like, the hot touch or whatever, the thirty second touch warm ups. I was watching John Macready’s games. LAUREN: Yeah, it was really cool. And then he also this time around would, they have the little girls and their dad’s games, and there was one where they do, like, a relay race down the vault runway. And they have to like, pick things up, and pick [INAUDIBLE] up, and put hats on them, the girls have to ride on their dads’ backs and stuff. He made the dads wear leos this time. [JESSICA LAUGHS] So you have like these huge, and of course he sought out the big dudes in the crowd. And you have these dudes putting on silver metallic short, or sleeveless leos to like, basically run around and make fools of themselves. So like, the dads could not have been more excited to do. And every time I looked up, I was like, “What is he doing now?” [LAUGHS] So…and at one point he was holding a baby. I don’t know where he got it from. Who thought to give him a baby. JESSICA: Maybe it was his baby. He has babies. LAUREN: I was like, “Put him back! You don’t know what’s going to happen!” [LAUGHS] So, yeah. I’m like, picturing that thing that they did for the tour where he dressed up like a baby, and I was like, “Is he going to do something weird with this baby?” And yeah. [LAUGHS] I don’t want to talk about it anymore. It was terrifying. But [LAUGHS] I love Macready. I feel like he, the first time I saw him doing things live I was like, “This isn’t funny.” But now that I’ve watched it, and I’m seeing the same gags over and over again, I’m like, and also the newer ones, I’m seeing that he really makes the crowd feel like, I don’t know, excited to be there. LAUREN: And he’s doing silly things that they just don’t do at other sporting events, and I feel like it’s half the fun now—going to a gym meet and watching what Macready’s going to do. JESSICA: I love when he makes, when he gets like a little group of boys, and he teaches them dance moves. And they all dance in the crowd. That’s my favorite part. [LAUGHS] It’s so adorable. LAUREN: He actually included a lot of boys this time. He usually doesn’t. But I thought that was…because he had Peter Vidmar and Marta there, and he wanted to let Marta give them prizes and stuff. They were doing pull ups, very manly pull ups, on the p-bars. And, yeah. I thought it was…I had a lot of fun with Macready this time. JESSICA: Awesome. And what happened with Marta, oh my God? LAUREN: Oh! Oh my God! So I was like, leaving a little bit early on Saturday, and I’m walking backstage and Marta and Ebee were running around trying to find where to do media. Which, I don’t know how they got separated from every single other person who made it to media. But, so I walked, I’m like, on my way to the bathroom, and Marta’s like, leading Ebee into the bathroom And so I was like…she was screaming in rapid Romanian. [JESSICA LAUGHS] And I don’t think Ebee knew what was going on. JESSICA: Screaming Romanian at Ebee to go into the bathroom? What? LAUREN: I’m kind of looking at them weirdly, and Marta’s looking back at me, like, “Who is this lady?” I was like, “Are you looking for media?” And I was so afraid to say it, because, oh my God, I’m going to talk to Marta! And it’s not like, an interview! [JESSICA LAUGHS] So I was like, “Are you looking for media?” And she was like, “Yeah!” And she started like, screaming at me. And then so I like, showed her the way to media, and led them away from the bathroom, which was like, way far away from where we were supposed to be. So yeah. I helped Marta. We’re best friends now. We shared, like, not a smile, but [LAUGHS] like, kindness. I gave her some kindness. She gave me like, a nod. So, we’re best friends. LAUREN: Well. I feel like the way that I usually measure that is because at the beginning of every year I’m live Tweeting a lot of NCAA gym. And then I go to American Cup. And I’m like, “How do I live blog this? I don’t know any of these skills anymore.” Because it’s been since Worlds since I’ve done it. And usually it’s getting used to doing longer routines and harder skills. For me. Because I’m like, “Okay, this is a really typical American Cup.” This year, I would say maybe like half of the routines that we saw were like, easily world class routines. But then there were a huge amount, probably like the other half, that were NCAA level. I would say, like I thought two gainers, well, Steingruber’s gainer off beam was cool, so I’m not going to include that. JESSICA: Yeah. The layout, and it was a real layout. JESSICA: Yeah, I feel like beam is her difficulty area, but she didn’t do it this time. JESSICA: She changed her series. Her series was beautiful though, but, yeah. things, like on floor she’s just like, whip whip to full in or something? And the crowd freaked out. They were loving that. Her double twisting yurchenko on vault was a-mazing. So you had a lot of really cool stuff. It wasn’t all super low difficulty. But I really was amazed at how low difficulty the lower difficulty routines were. LAUREN: That’s what I was thinking. JESSICA: I was like, “Man, the beginning of elite season. Like, NCAA smokes the beginning of elite season for these international gymnasts.” But I want to give a shout out to Roxana Popa. Because we really, really like her. There’s just something about her, I don’t know what it is. But our listeners are like, “Talk about her!” I want to talk about her. So, I just like her. I don’t know what it is about her. She’s just…she’s like if the Romanians ate more, and they had a little more power. [LAUGHS] That is how I feel about her. And they had some Retton legs. Some Mary Lou Retton legs. JESSICA: I just, I just, there’s something about her that’s really enjoyable to watch, and I can’t quite put my finger on it, but it’s some of that combination of her great basics from being a Romanian junior and the power that she’s gained with age that’s just really enjoyable to watch. I really like her a lot. LAUREN: Did she come up in the Romanian system? LAUREN: And then moved to Spain? JESSICA: I don’t know if she came up, I just know that as a kid, I just know I mean as a…I don’t know if she was a junior elite there, I should rephrase that. JESSICA: Yeah, I just mean as a kid there, but she might have, though. LAUREN: Okay. Yes, I know obviously her name, like, is very Romanian, but I didn’t know if she trained with Romania and then moved over to Spain to compete there. JESSICA: Yeah, I think she was only there until she was like, 10 or 11. But yeah, I’m not sure if she like, moved to Deva and did the whole elite thing. LAUREN: I love their bars. JESSICA: I’m like, I’m like, “What?” This is the Georgia of years past. They’re incredible. LAUREN: I don’t want to say it, but this is the first year that they’ve done well since Shayla Worley has been there. [LAUGHS] I don’t want to blame her, because there were other factors involved too, but she just gets so much of the gymternet’s hate, sort of I feel like, and that’s something that people have been saying. And I’m like, “It makes sense, but I don’t want to blame…”The Shayla Worley factor. LAUREN: Yeah. The Shayla Worley curse. JESSICA: Yeah. They look amazing. They look like the Georgia that won, like, a bazillion—what did they win? Four in a row, five in row? Something insane. They look great. LAUREN: Yeah. The past years. JESSICA: Yeah. They look great, great, great. And then Utah! Holy crap! They’re in sixth right now and, uh, Tory Wilson did…have I…I don’t think I’ve ever seen a woman do this skills. I think I’ve only seen dudes do it. She did a layout half…a double layout half in, half out this past weekend. JESSICA: I’m just blown away by her. Just, hats off, bow down. Like, I’m glad we’re seeing some crazy stuff out there from these teams. Michigan right now is in seventh. And then UCLA moved up to eighth. They finally got a 197.5. And you know, Evan Heiter said on this show, you can’t ever count them out, because they’re like a phoenix that rises from the flames. You know, they really have a totally different—of course, I’m biased, they’re my favorite team ever—but they have a totally different training system than any other school. And obviously it works for them. I mean, you know, they’ve won all these national titles. But their thing is that they start very slow and then they build, build, build. They’re best at the very end of the season. Like, right now they’re just adding Sam Peszek on, on vault. So she’s one of those gymnasts who can go, you know, 9.995 on every single event, and she’d get a 10 on beam. Speaking of which, Lindsey Cheek. Have you been watching her vaults? Lindsey Cheek at Georgia? LAUREN: Yeah, they’re crazy, yeah. LAUREN: I have a feeling that’s under this year. Florida needs to stop doing that and Georgia needs to start doing it a little bit more. Because there have been a couple of routines where I’m like, “That’s a 10.” And, like, when they’re at home, and then they get like a 9.9 or something, and I’m like, “You’ve got the be kidding me!” Like, I…everyone in the crowd is screaming, “10, 10, 10!” And like, maybe one judge will give it a 10, but the other judge is just really mean about it. I’m like…every other…like, I hate the whole giving away 10s stuff, but if everyone else is doing it, then Georgia needs to do it too. Because that, I know what vault you’re talking about and that one was…she was good. JESSICA: That vault is, it’s like Sam Peszek’s beam as far as I’m concerned. Like, you can’t—what else does she need to do? I…[raspberry sound]. I…It’s making me sick. Every week I am outraged for her. Outraged! 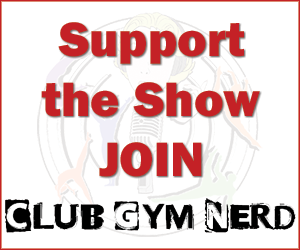 Before we get to the gymternet news, I just want to remind you guys of how you can support the show. I want to thank the people who have donated this month to the show. You guys are freaking awesome, thank you so much. You guys asked for a way to donate, so we put a donate button on there and every time I’m like, “Oh my God, this is embarrassing that it’s there.” And then people totally donate to us, so thank you so much! All the, anything that you guys donate or you spend in our Amazon store goes directly to the show. We use it to pay travel costs or to pay our hosting fees for our server, or upgrade our equipment, like we’ve done with the sound equipment. So thank you so, so much for that. Really appreciate it. And the other way to support the show is to review us on iTunes or Stitcher. And of course, since Lauren is here this week, make sure make sure to visit The Couch Gymnast, a fantastic site. All the editors there do a great job of keeping the gymternet abreast of the important news around the world. And with that let’s discuss the major news out of Texas this week. This was a rumor going around for about a week, and then finally the Houston Chronicle put out an article via USA Gymnastics who released a statement from Simone Biles and from Ron Biles, her dad, and Aimee Boorman, her coach, that they, Simone and her coach, Aimee, have left Bannon’s Gymnastics. This…I thought this was really surprising. But I have theories. Which are totally unfounded, they’re just my own random theories, I just want to make that really clear. Lauren, do you have any thoughts on this, any insight before I give my theories? LAUREN: I don’t. I’m kind of like, away, like, not paying attention to like, little gymternet type stuff, getting ready for American Cup. And then I saw that like, Aimee Boorman, like, posted this thing, like, “Shooting down the rumors!” And I was like, “What?” And then she posted that they were leaving, and I had no idea there was even like, trouble brewing or whatever. So, yes, I was just like completely shocked and took me by surprise. So I’d like to hear your theories, ‘cause I have, literally have none. JESSICA: [LAUGHS] Well, that’s the thing. They’re looking for a new place to, yo go, they’re looking for a new gym. And there’s absolutely, you know, they’ve given no reasons publically for why this has happened. And so I’m just, I’m just putting out my theories, this is totally unrelated, but this is what I think. There have been many, many world champions who have, as soon as they win a world championship, they leave their gym. And that’s happened to, remember, Chellsie Memmel? She, actually it was right before she became world champion. But no, she won at 2003 Worlds, with the team. JESSICA: She leaves her longtime coach and goes to her parents. The Hamm twins. LAUREN: I don’t if I…with Kayla Williams, it was like, her coach was the owner of her gym, which is different from Simone’s situation. But she left her coach and the gym because the coach thought, “Okay, now I have this world champion on my hands. She’s doing appearances for me every week, doing every invitational and signing, and everyone is going to pay us.” So she sort of became a cash cow, and I don’t think that’s what’s happened with Simone and Bannon’s. But like, it’s, now that you’re talking about the money aspect, I feel it’s kind of similar. Like, once you have a world champion in your gym, it’s like, now you have that prestige, like you can put her name up and say, “Home of Simone Biles.” There’s a lot of that post-Worlds kind of pressure and, I don’t know, to help your gym become a big gym. So, yeah. I’m on board with your theory. JESSICA: Yeah. So, and again, this is all just my own speculation and like, you know, I always have my conspiracy theories. It could be something completely, totally different and unrelated, and I’m, this is just all off the top of my head. But, yeah, so I, we really wish them the best. Wherever they end up is going to be an amazing situation for them. Any gym will be lucky to get those, that, I mean, Simone and of course her coach. So we wish them the best and hope everything turns out great, and that Simone’s shoulder is healing well and we’re excited to see what the next chapter will bring for them. Did you know that the Oklahoma men’s gymnastics alumni have like a little Disney World Animal Kingdom mafia going on? JESSICA: Let me just say that I use the word “mafia” loosely to mean any group of people who help their friends. [LAUGHS] That’s always the mafia. Like, we could be the Gymcastic mafia right here. So you know when you move to some cities, every pizza place will be all owned by Brazilians. JESSICA: Or like, every cop is Irish, and, like, I can say that because I’m Irish. You know, that’s the mafia. You know, you help each other out to make sure things happen. So, so anyway. The Oklahoma men’s team—there’s, one of them went down long ago, and got a job doing stunts there after he graduated, and he invited his friend and another one invited their friend. So now there’s this whole troop of Oklahoma alumn all working at the Animal Kingdom at Disney World. And they’re in the Indiana Jones show doing stunts, and then they’re also in…I don’t know what the show…Lion King show! And they have this whole thing where they do, like, rings. And then there’s bars, and in the middle there’s tramp. And I was like, “How did I not know about this?” Like, I pride myself on arranging my vacations around being able to watch gymnastics somehow. [LAUREN LAUGHS] And I was totally at the Animal Kingdom, and I didn’t even know about this show. I am so upset with myself. Like, I’m going to have to redo my whole vacation. I might have to send myself back to Disney World. In fact, Disney, if you would like us to do a special review of the acrobatics in your shows, you could send the whole staff, and we would give you our scientific review, the way we did for Cirque’s Amaluna, about how the, you know, about the ratings of gymnastics and how gymnastics fans would like it. It’s very scientific. We have a chart and everything. We give points to certain things. So, you could totally send us, we would do it! I would do that for you, Disney World. So the other major news is that our April Fool’s joke from last year is coming true more and more. And now Azerbaijan has recruited Oleg Stepko from Ukraine onto their team. JESSICA: They are going to have the most amazing team. I hope that this is turning out…they’re going to be the Yankees of gymnastics. LAUREN: We should just send every US female gymnast who can’t make US national teams. LAUREN: Like Mykayla Skinner can go. LAUREN: Abby Milliet can go. They can all go to Azerbaijan because I want them to win Worlds. JESSICA: Kennedy Baker! I want her on their team. JESSICA: I want her to go and just win beam, everywhere around the world. Like, her and Pavlova can be buddies. JESSICA: …and they’re going to be like, “Be our bars and beam specialist.” Like, they’re going to recruit her out of Missouri coaching and send her there. LAUREN: She’ll do so well for them. LAUREN: She has the real high bun. LAUREN: She’s the one that Al Trautwig said would need Dr. Phil when she fell off beam like, three times at SCAM. JESSICA: What did he say? LAUREN: And he said, “That’s the last we’ll ever see her.” Because she’s going to be so embarrassed or something. JESSICA: Oh my God, Al Trautwig. Oh Jesus. Oh my God. Okay, so. She’s now becoming a force. And she threw a church, which is a toe on tkachev, to a Bhardwaj, a full twisting pak. A full twisting flip to the low bar. Connected. Beautifully. That is…I just, she totally blows me away. That is such a cool, cool, freaking amazing transition and connection, and I just love that they’re just continuing the Tweddle legend of insane connections in Great Britain. It lives on! Also, Hannah Whalen, who is on the British team, and who, if you follow her on Twitter, you know her Twitter for her gorgeous, like, what was it, like Vogue photo shoot or something, where she’s like, wearing that white dress, she’s doing a back kick, and she’s just, oh. Beautiful. So she, she did, are you ready for this? JESSICA: So she does a side aerial to two layout step outs. Two of them. LAUREN: Oh, wow. Oh, a side aerial into two layout step outs. JESSICA: That’s pretty dope, right? Like, a side aerial to a layout is rare. JESSICA: Pretty cool. And thank you to Daniel for keeping us up on this, he’s one of our listeners. I think he’s in Ireland. I want to say Ireland, Daniel. We’re Irish, [clicks tongue] Oh my God, I might be, like, Ireland, not Northern Ireland. I’m pretty sure it’s Ireland and not Northern Ireland, I don’t want to get that wrong. So the other news in, in the Instagram-verse. It’s not the Twitter-verse, it’s the Instagram-verse, is that Steve Legendre, you know he injured himself at Winter Cup and wasn’t quite clear if it was a bicep injury or a pec injury, but it looks like he’s had his surgery and there are some very gruesome photos on Instagram of his surgery. But it looks like he’s been patched up and recovering well at home with his wife, the trampolinist. Those two have had so many surgeries together. [LAUGHS] They are going to be, that house must be, just like, they must have crutches, and ice packs, all over the place. LAUREN: Wait, who is his wife again? Oh, I’m confused. LAUREN: Oh, yeah, yeah, yeah, trampoline. Yeah. LAUREN: Yeah, yeah. I was thinking Kayla Nowak, she’s with Jake Dalton or something. JESSICA: I know. Oklahoma is like, literally a breeding ground for gymnasts. JESSICA: They’re like, doing rings on, literally on tree branches on the beach. [LAUGHS] I’m not kidding! I was like, “What!” Who’s not going to want to go to that school? LAUREN: So does Sam Mikulak get to join them? JESSICA: Yeah, he’s there with them. LAUREN: Oh good, I thought he’d be left behind. LAUREN: I understand it’s the team. JESSICA: I’m sure Fabian is there with them too now too. He’s like, “Oh, you guys are going to Puerto Rico after this? Okay, I’m coming.” [LAUGHS] He’s like their mascot. LAUREN: Yeah, best buddies. Yeah. JESSICA: So, I have…we now have a new segment called the “Rage-o-Meter.” Because, you know, I get very upset about things and I have to have a place to go off about them. So this week’s Rage-o-Meter—and if you have anything you want to rage out about, Lauren, we are here for you. LAUREN: No, I’m, I didn’t have that much rage this weekend. I think. JESSICA: Okay. Well, if you do, just let me know any time. LAUREN: Okay, yeah. I’ll rage with you, yeah. JESSICA: So the first thing is, that I’m disgusted by, is all these little kids who were in the crowd at the American Cup, and when the camera came near gymnast who has traveled from far and wide around the world to compete for us in our country. The camera came close that gymnast to capture their performance, and these little kids would wave like crazy in the stands and totally distract the audience from the gymnast performing. LAUREN: Yeah, yeah, I would have been mad about that. I would have raged about that, definitely. JESSICA: No. The other thing that I wanted to mention is that… This isn’t something I’m really enraged about, but, you know, I’m really jealous that ice skating [LAUGHS] and ballet and dancers, and I guess this happens on Broadway, but actors too, right? They get flowers thrown on to the stage when they do a great job. JESSICA: And they get, especially in Japan, or maybe they do this in other countries too, but they’ll throw like, plushie toys, like, stuffed animals onto the stage, onto the ice. JESSICA: And they do, so the fans have great etiquette about it. They cover, they wrap the toys or the flowers in plastic or paper so that nothing falls off onto the ice. And it’s such a….I just love that it’s like, a show, it’s such a great old tradition from the old days of ballet, of throwing the flowers on the stage, you know? JESSICA: And I just totally want to start that in gymnastics. JESSICA: If it’s done responsibly and doesn’t get in the way of other athletes. I think it’s something that would be so fun. Just like, launch a stuffed animal onto the floor? How cool would that be? If you were done with that routine, and [LAUGHS] you had like flowers and stuffed animals, I just think that would be so cool. So. JESSICA: I may do this. LAUREN: That would’ve been cool at American Cup, when they do the whole finale at the end, when they give awards to the best guy and the best girl, if Ebee and Sam were standing there and people were just throwing crap at them, that would have been amazing. JESSICA: Yes! Right, wouldn’t it be so cool? JESSICA: Why can’t we bring some of these cool traditions from other sports into gymnastics? I just think, I think it would be great. LAUREN: Except being drunk and screaming. JESSICA: …want to challenge you guys to do this at an NCAA meet in a responsible, safe manner. So if you have flowers, you have to wrap them up in paper, wrap them up in plastic, something like that. Take a video of it, take a picture of it, send it to us. Let’s start a trend. Let’s do it. We can add this to your gymitate contest. ALLISON TAYLOR: This episode is brought to you by Elite Sportz Band. Elitesportzband.com. If you guys want us to discuss something on the show, if you want us to solve a problem for you, if you want us to answer a question, if you want us to discuss something, if there’s a routine that you’re dying to have our opinions on or you really want us to know about or comment on, let everyone on the show know about, send it to us. We are at gymcastic@gmail.com. You can also call us and leave a voicemail on our 415-800-3191. Or we’re on Skype—call us for free from anywhere in the world on Skype. We’re at GymcastPodcast, that’s our user name on Skype. 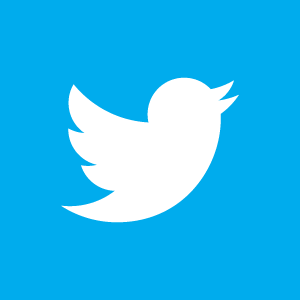 We’re also on Twitter, we’re super, super chatty on Twitter. Like, you can always find us on Twitter. And Lauren is all over Twitter too. Lauren, what’s your Twitter handle for everybody? LAUREN: That’s my Twitter name. Yeah. JESSICA: I’m also going to ask you guys to, if you have time, fill out the survey from Safe for Athletes on our website. They are trying to gain some information on abuse in gymnastics and what people’s experiences are. We’ve had them on the show, on our preventing abuse show. So we’ll put the link up. Remember to enter our gymitation contest! Send us a picture or a video of you doing gymnastics imitating your favorite gymnast. And it can be a pose, it can be a skill, it can be a facial expression, you can just send a picture of your wrist bent over past 90 degrees, if you’re imitating some specific gymnast. And just hashtag it and tag us in it. You can put it on Twitter, you can put it on Instagram. The word is “gymitation.” G-Y-M-I-T-A-T-I-O-N. The Gymitation Contest. [LAUGHING] Hashtag it and tag us, and you can win chalk and fantastic t-shirts. Until next week, I’m Jessica, from Masters Gymnastics. LAUREN: I’m Lauren, from thecouchgymnast.com. thank you so much to Lauren for being on! We’ll see you guys next week! JESSICA: I totally have it written down! LAUREN: I don’t want anyone to be confused! JESSICA: Okay. The name again is gym-i-tation. It’s G-Y-M-M. No. JESSICA: [WHEEZING] I can’t even…Oh my God. [LAUGHING] My husband’s on the couch with his hands over his face, shaking, he’s laughing so hard. Okay, so. Let me try it again.